Baker Perkins involvement in Latin America goes back to before WW1 when Robert Bruce Hay sold biscuit plants in Argentina, Chile and Brazil. Robert Bruce Hay had joined Joseph Baker & Sons at Bell Yard in the tin-shop but had come to the notice of Joseph Allen Baker as someone with unique qualities. He was sent out to Brazil to erect a biscuit plant and thus began a relationship with the region that is worthy of note. 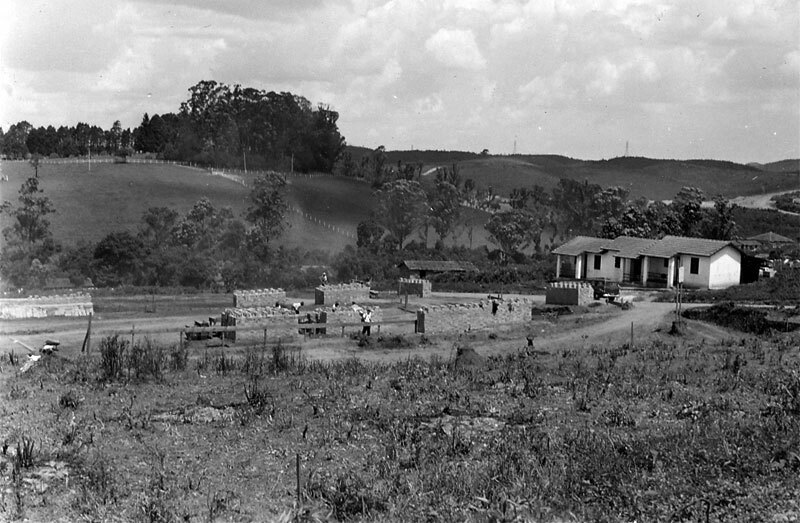 A fuller story of his exploits can be found in Augustus Muir’s "History of Baker Perkins"– Pages 42-43. 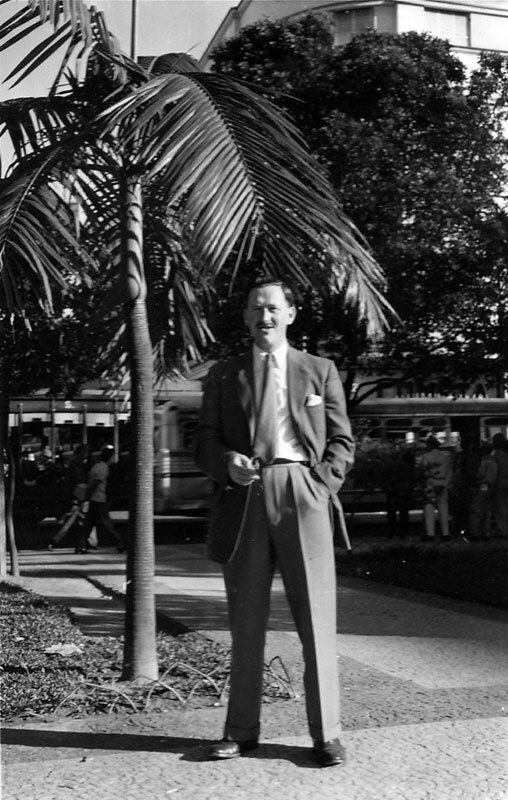 Harold Crowther, (vice chairman of group management and chairman of Baker Perkins (Exports) Ltd when he retired in 1966), first visited the area in 1935, briefed to explore the market for Baker Perkins. 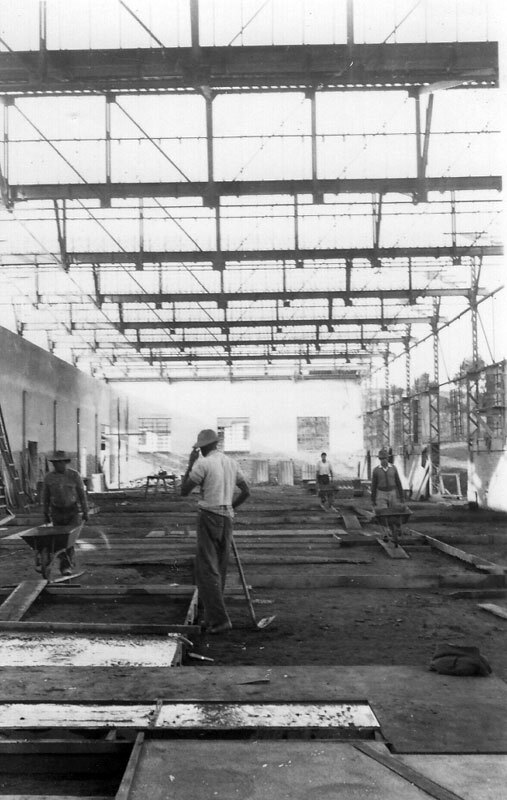 At the end of WW2, Harold Crowther returned to South America for a five year spell having spent the war as works manager for Davey, Paxman and Co. Ltd as part of the war effort. 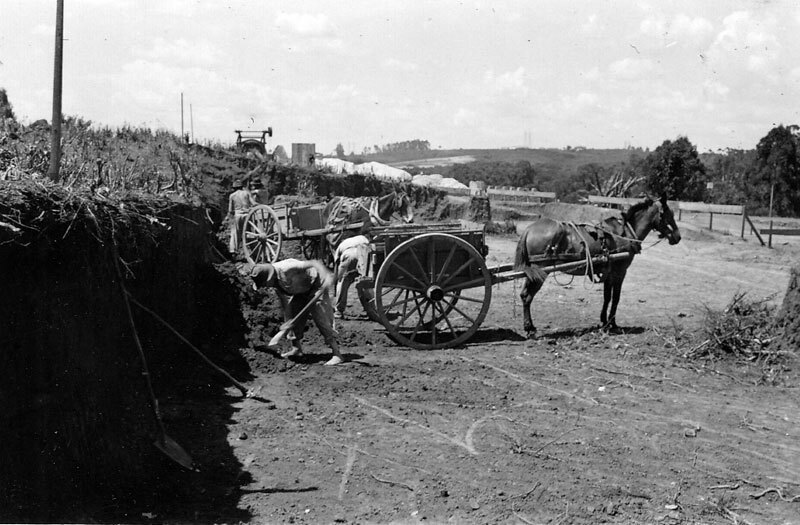 After the war, the earlier spade work began to bear fruit with a steady stream of orders from Brazil, Chile, Argentina and Peru. 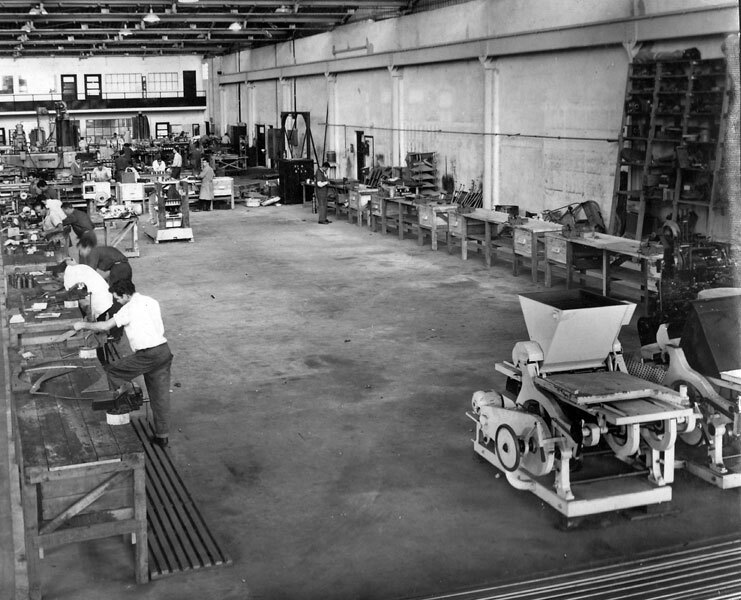 By 1968, Baker Perkins had exported 47 fully automatic biscuit plants to Latin America. 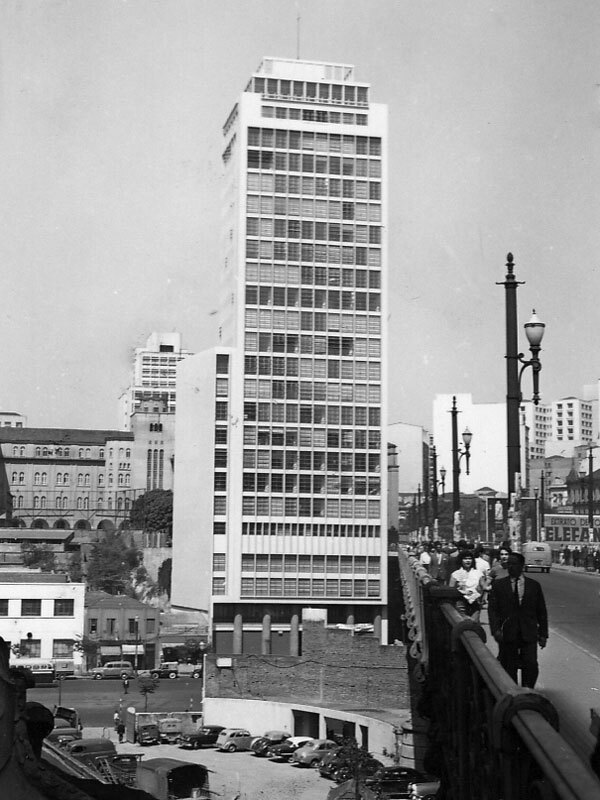 The factory building for one of these – Paulista (Duchen) in Sao Paulo – was designed by Oscar Neimeyer, the world famous Brazilian architect responsible for the city of Brazilia and the United Nations building in New York. Inevitably the biscuit industry is very British in character - it interesting to note that more cream crackers are made on these plants than any other type of biscuit – and many companies insist on employing British production managers and engineers. 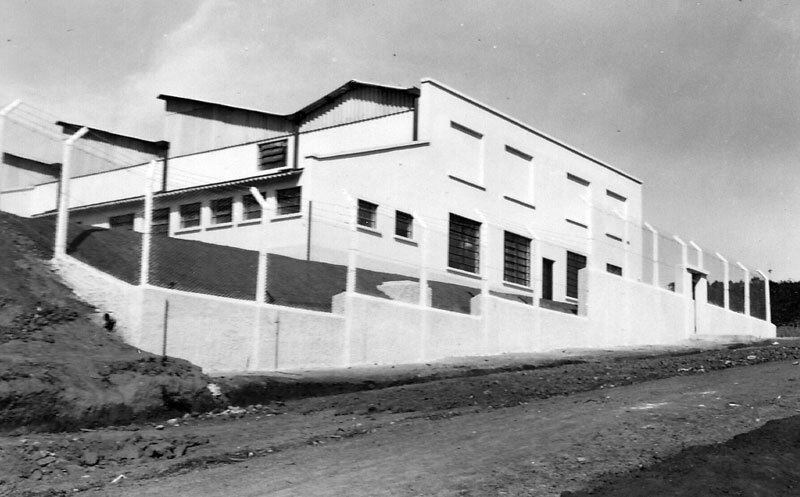 Brazil in the early post World War II years was one of Baker Perkins’ best export markets for biscuit and confectionery machinery. Sales were through the agency of Johannes Malik under the overall direction of Harold Crowther and with the great help of Frank Arscott. 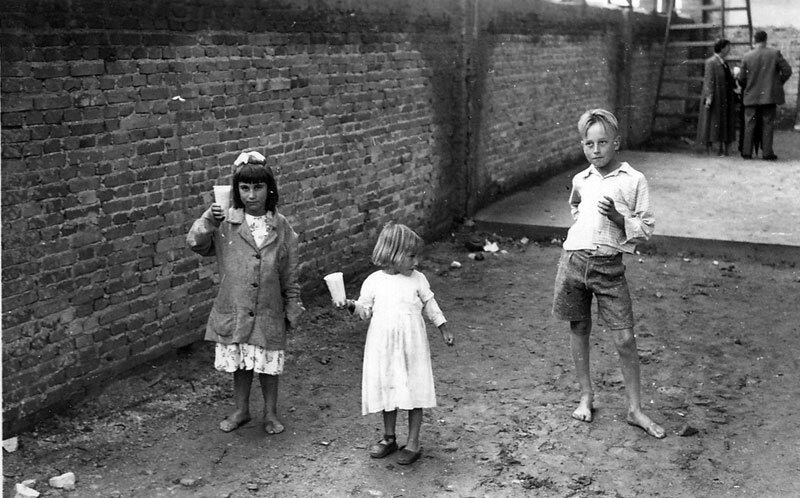 Frank lived in Rio de Janeiro and Sao Paulo for five years from 1948, travelling the length and breadth of South America. 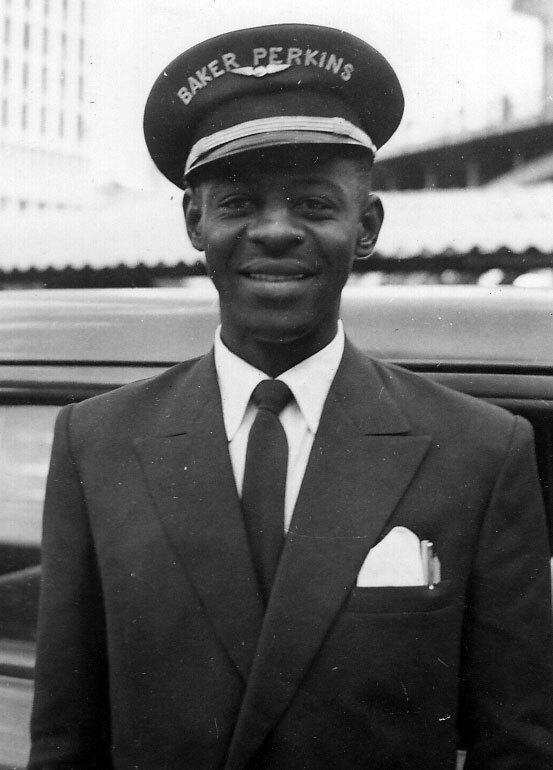 He later became a director of Baker Perkins (Exports) Ltd. responsible for the South American biscuit machinery market. 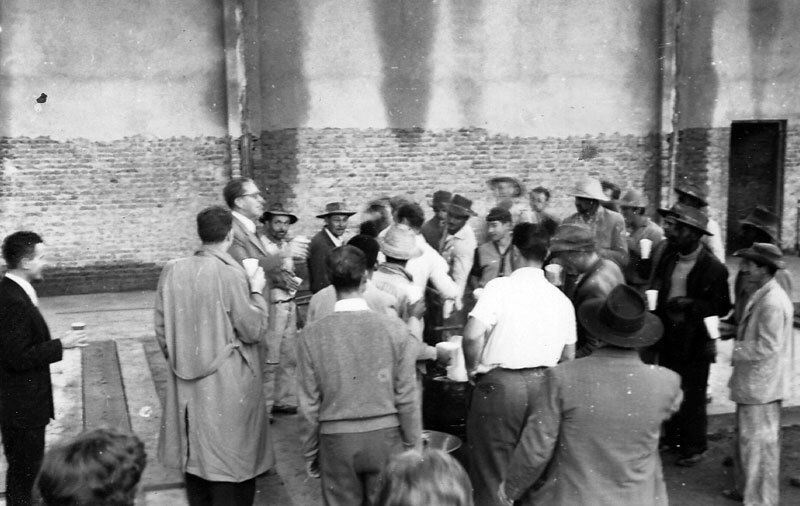 However, in 1954, following a currency crisis the Brazilian Government was forced to impose severe import restrictions. In order to overcome these and to meet the demands of their Brazilian customers, Baker Perkins decided to establish some local manufacture in Brazil. 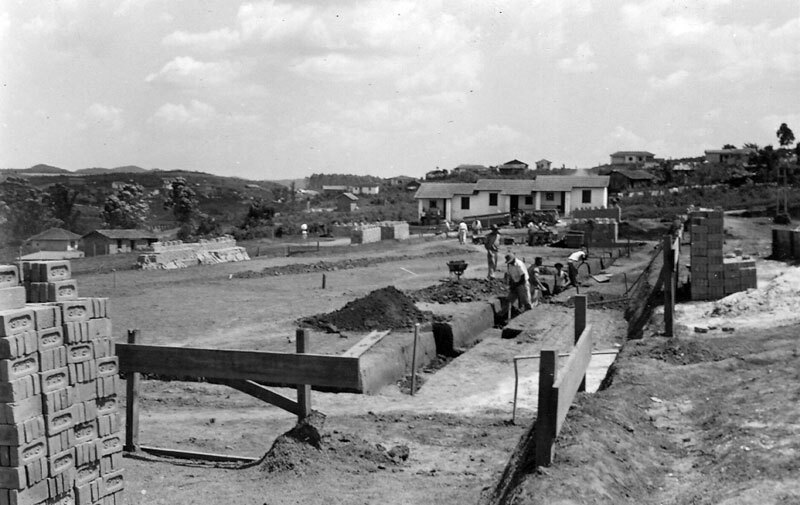 Cyril Ballinger, together with Peter Dyson and Alan Gelder, were sent to Brazil in 1955 charged with this task. Cyril Ballinger had started work for the Baker Perkins Group in Willesden, moved to Peterborough on the closure of that factory and subsequently became deputy to Paul Baker at Bedewell before moving to Brazil. 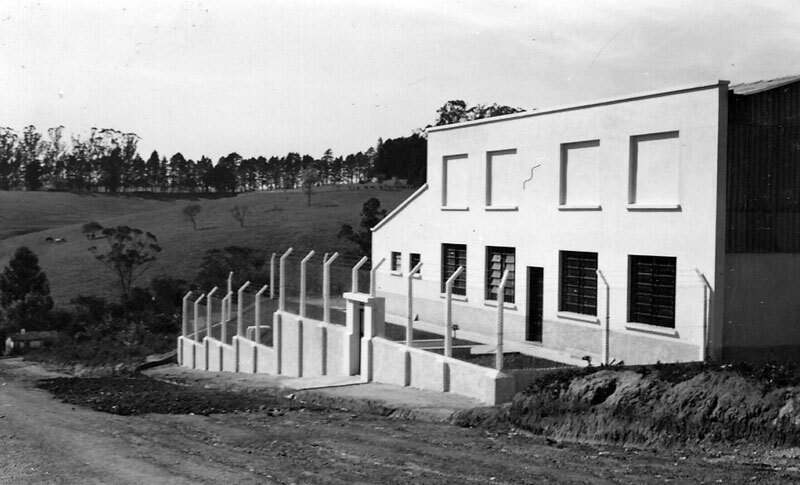 A company named Baker Perkins do Brasil was formed and a small factory built in Sao Bernardo do Campo, a town about 15 miles east of Sao Paulo on the main road to Santos. It was equipped with machine tools sent from England. 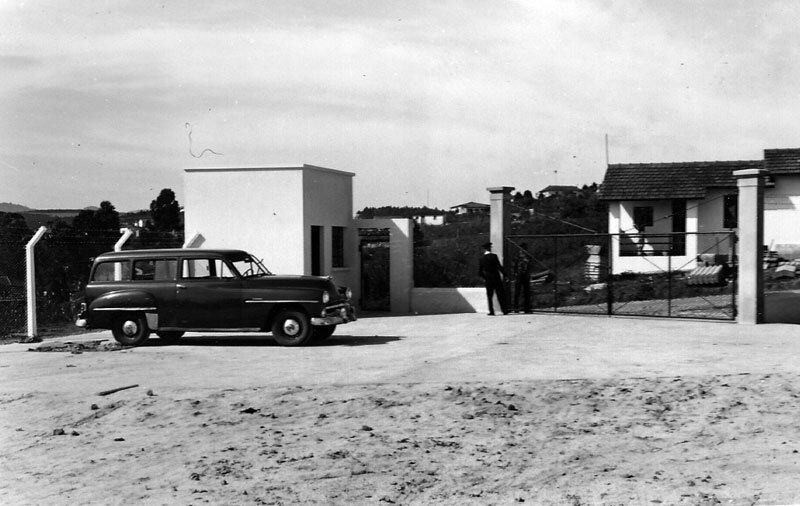 Sao Bernardo was subsequently to become one of the centres of the Brazilian automobile industry as Volkswagen, Mercedes and other European companies made it the centre of their activities in that country. 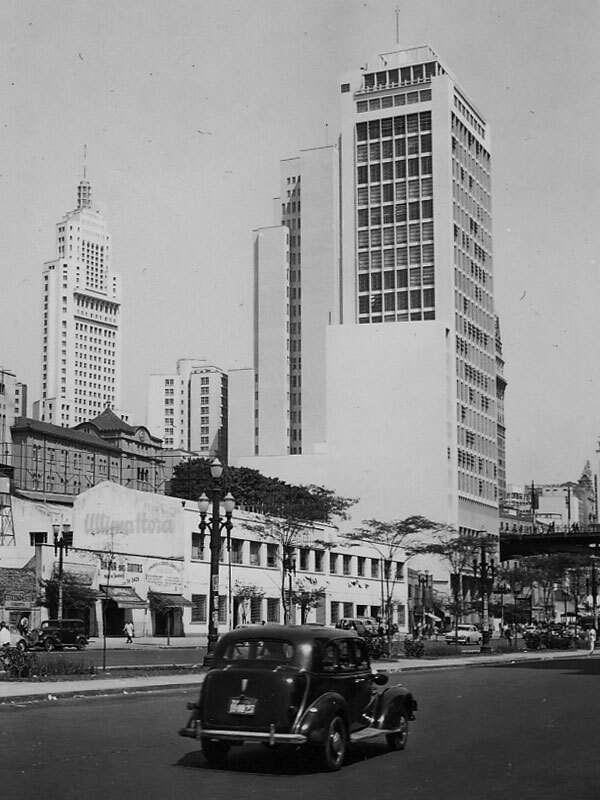 "This was the central access to the city of Sao Paulo, a road called Avenida Anghanagabau. 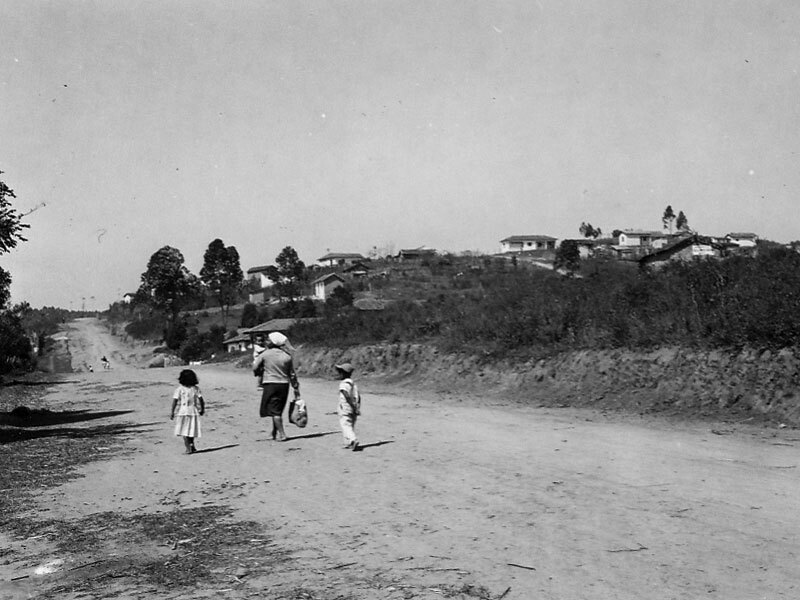 It was originally one of the old coffee plantation valleys. The city lay on two levels with access up by travelator, lift or stairs from the Avenue. Our office (one room) was located in the building at the side of the main bridge. 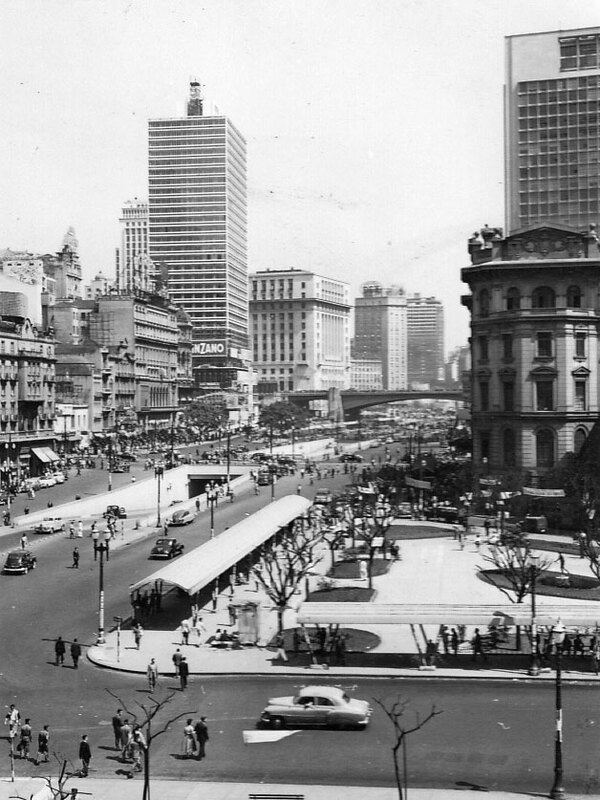 You cannot imagine how futuristic this city looked to my parents, Cyril and Sylvia, when they arrived in 1953, to me in 1954 and to Alan Gelder, arriving in 1955, which is when he took these photos. 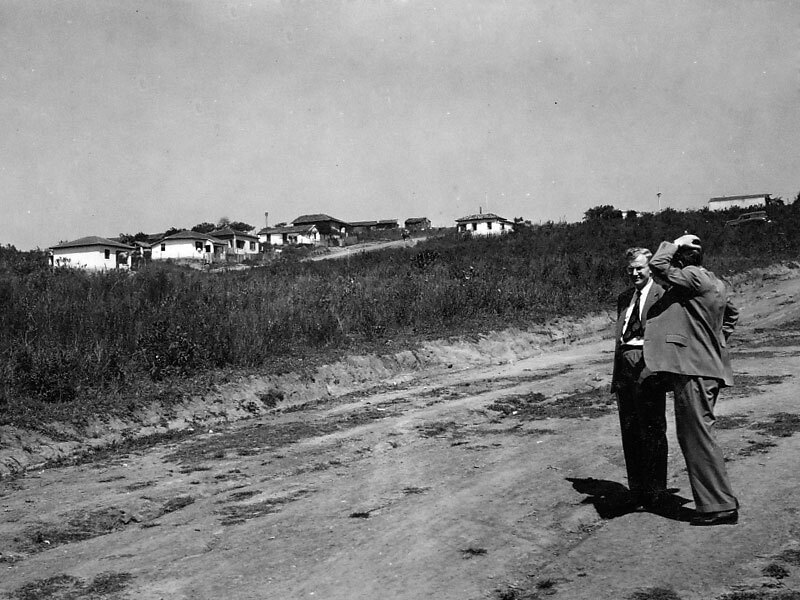 This was the site Cyril bought for the construction of the factory in a very small hamlet in a very rural area between Sao Paulo and the port of Santos. 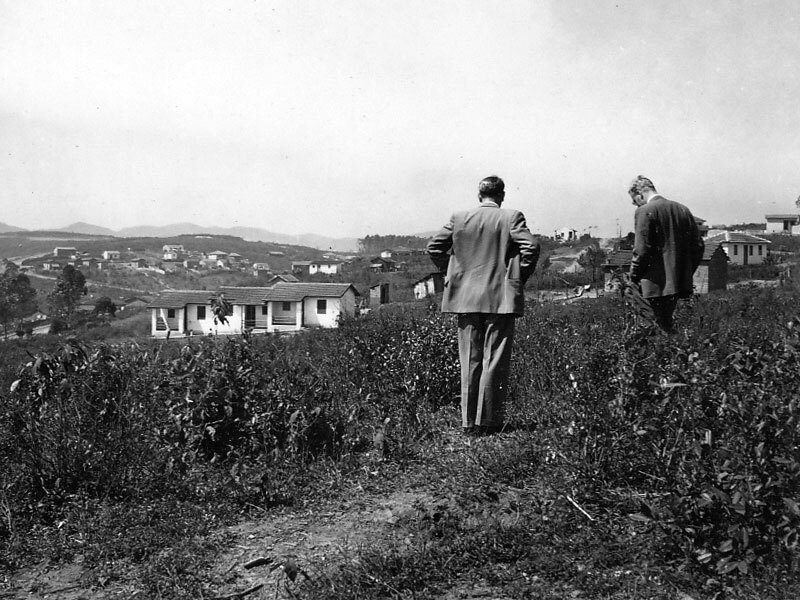 This was the time when Brazil was seen as the equivalent of the “Asian Tiger” and a lot of European firms were building factories including Willy’s Jeep, Volkswagen, Rolls Royce – Cyril is showing the site to Peter Dyson, English accountant who came out with Alan. Alan is taking the photos. 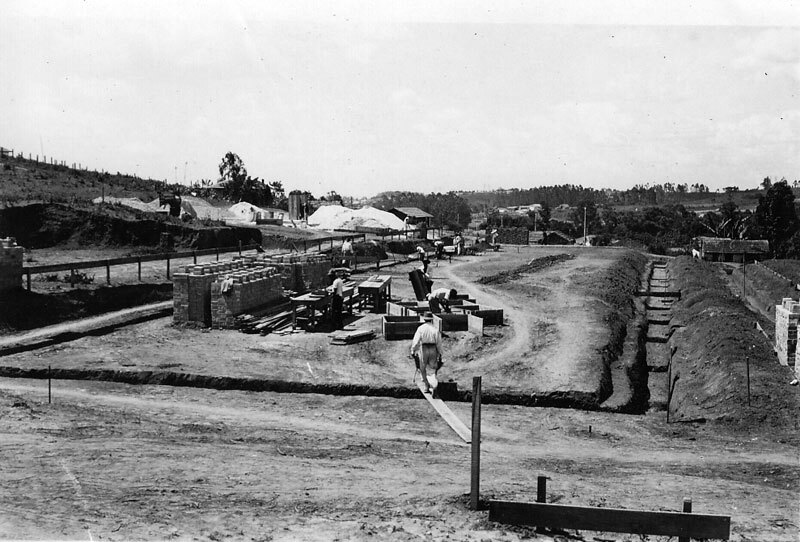 Sao Bernardo do Campo was the name of the area and it quickly became the industrial area for Sao Paulo. 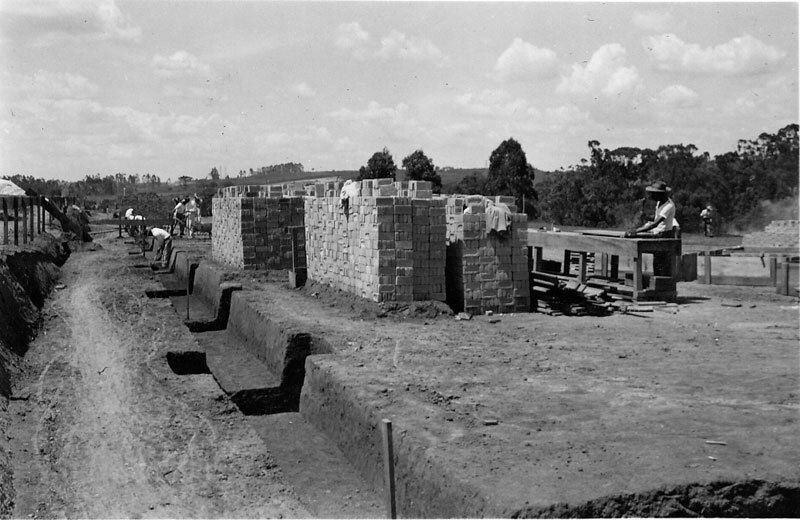 These are photos of the first construction, carried out by a local firm who were clueless. 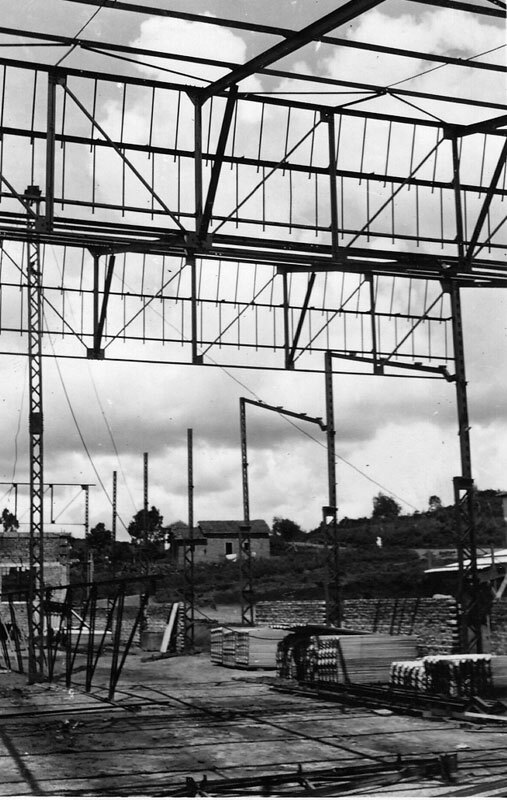 They began by constructing one wall the length of the factory and not tied in to any support. During the first storm it blew down. My father and I were in the office when we got a phone call telling us that the wall had fallen down! The phone call was in Portuguese and as my father never got beyond learning the Portuguese for ‘hello’ and ‘goodbye’ I had to translate. He would not believe me, so we had to call the company lawyer who came to fetch us, with two assistants in a VW Beetle. We set off at such speed I was thrown out into the road. Once bundled back in again we got to the site to find a fallen wall and that construction company was sacked! Until we moved out to the factory this was the BP compliment in the Sao Paulo office. Alan Gelder – who came from Forgrove and knew the 22B which was to be the first machine built in Brazil. He translated all the drawings from Imperial to metric. Alberte – The office Brazilian expert in contacts, procedures and “fixing”. Sylvia Senior – who had been a lady tracer at Westwood prior to marrying Cyril and who was roped in to make copies of the drawings as Alan translated them. Sylvia Junior – Translator and secretary. Hilary Dyson - Peter Dyson’s wife. He was the English accountant prior to Colin Joyce and was taking the photo. The chauffeur – Who was sacked after being found asleep on the front seat of the car during the visit of an overseas visitor of some importance! The second construction company knew what they were doing! Now taking shape. 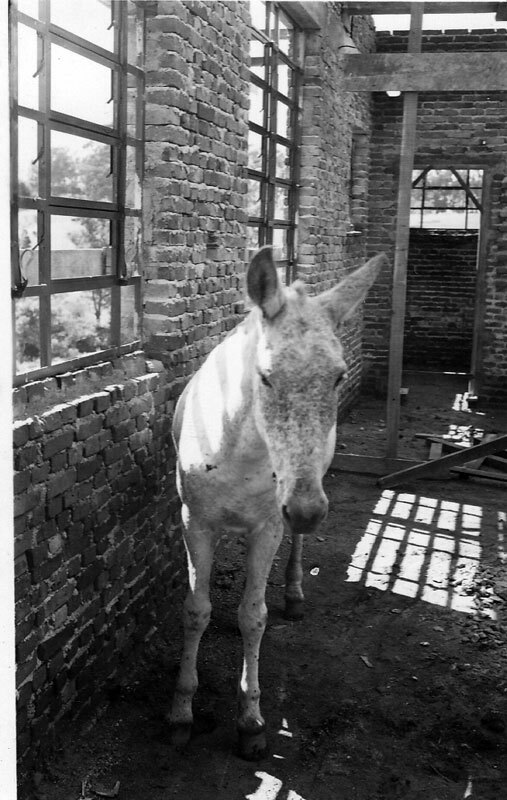 The mule was found in what was to be Cyril’s office. As we disturbed virgin land we had quite a collection of fauna and after moving in had a poisonous snake in the filing cabinet and a hand-sized jumping spider in the ladies’ loo! The “topping out” or roofing ceremony with Cyril thanking the construction team. Local kids came in for the food and drink and probably more so we were glad to get the gates on and a watchman’s post. The new chauffeur, who was called Antonio, demanded a uniform and never fell asleep! 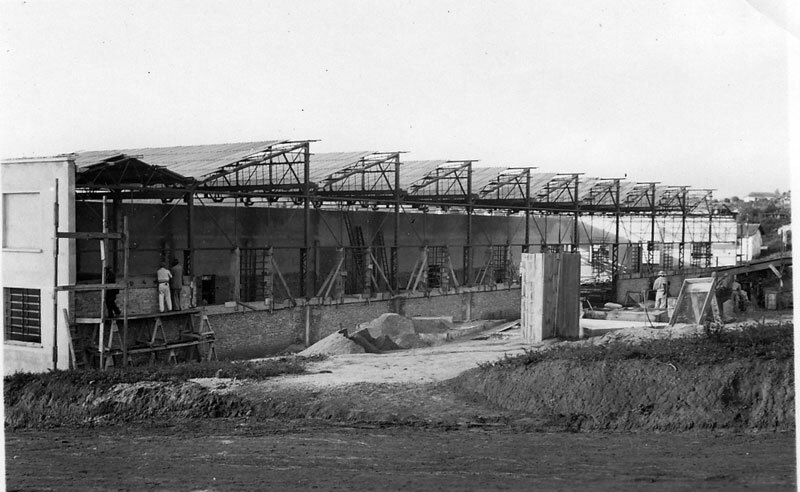 The completed factory. The installation of the machine tools and the 22b production line. The Dysons went back to the UK and Colin Joyce arrived. I cannot remember how many people worked at the factory but our workforce significantly increased. I left when Alan and I married in 1957". In 1956 before the factory was completed, Peter Dyson returned to England to join Forgrove at Leeds. He was replaced by Colin Joyce who earlier that year had been recruited to work in New Zealand, where local manufacture was also being planned. It was decided that the first product to be made locally would be the Forgrove 22B sweet wrapping machine, hence the presence of Alan Gelder, a Forgrove trained chartered engineer. The first such machines were produced satisfactorily in 1957 and this model was augmented by the Forgrove 42 cut and wrap machine, biscuit cutters and rolls and a variety of spares for various Baker Perkins biscuit and confectionery equipment. The Company had been established on the basis that it would be a design and manufacture operation only with all sales responsibility retained by Johannes Malik. This proved not to be a success as Malik had no staff other than a secretary and he was fully engaged on securing orders for imported plant as the establishment of local manufacture had facilitated a loosening of import restrictions for Baker Perkins’ products. Sales increased steadily but profits proved hard to come by and consequently the Company remained a cash drain on the parent company. Joe Carolin, a non-executive director of Baker Perkins Ltd., introduced Molins. Molins were then the world leading maker of cigarette making machinery and eager to produce some of their products in Brazil for Souza Cruz, the principal cigarette manufacturer in Brazil, which was a subsidiary of British-American Tobacco, a minority shareholder of Molins. An agreement was reached whereby Molins subscribed capital to Baker Perkins do Brazil becoming an equal partner with Baker Perkins; the name was changed to Baker Perkins Molins do Brasil and a major extension of the facilities in Sao Bernardo undertaken. Colin Joyce returned to Brazil as Molins’ representative on the board of the Brazilian company to complete a management triumvirate with Cyril Ballinger and Norman Parsons. 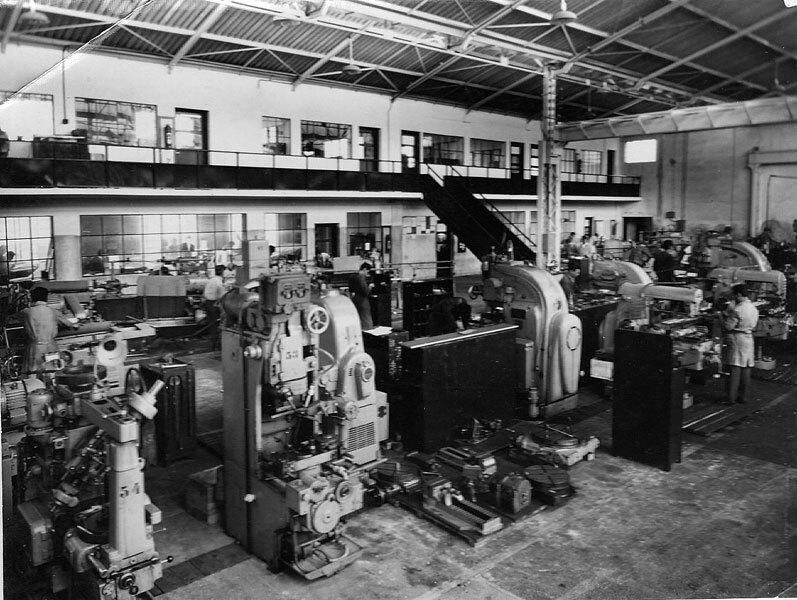 In his capacity of Sales Director, Norman Parsons became responsible for selling Molins’ products as well as the locally produced Baker Perkins machines. Within two years, after massive help from Molins’ personnel and despite the serious political upheavals taking place in the country at the time, ‘light appeared at the end of the tunnel’. 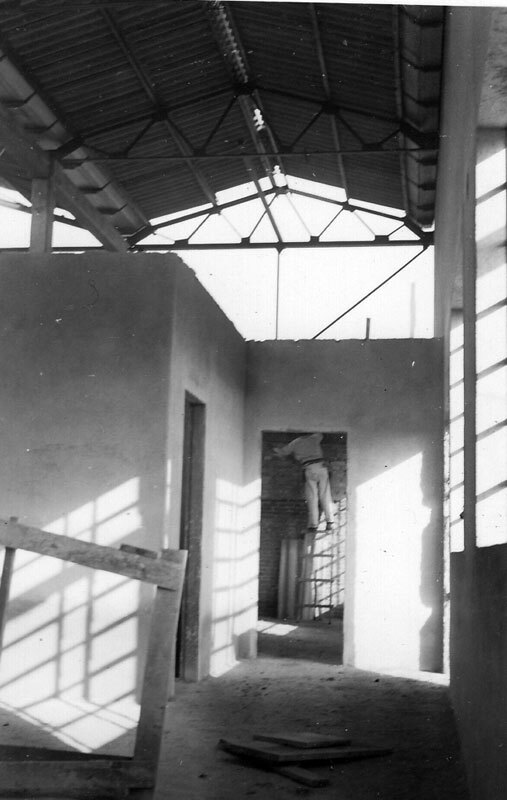 Cyril Ballinger returned to England in 1961 to run Baker Perkins Developments in Twyford and Colin Joyce followed a year later to join Rose Brothers in Gainsborough. Molins’ products quickly ‘swamped’ those of Baker Perkins design and as a consequence in 1963 Molins acquired the Baker Perkins interests although the Company continued to manufacture some Rose Forgrove products for a number of years thereafter. Derek King, a Molins employee, became managing director in 1964 and under his management the Company prospered for the following thirty years. Alan Gelder returned to England to work for Rose Forgrove in 1965 but Norman Parsons spent the rest of his working life in Brazil initially as a Molins employee but later as an independent agent, selling imported food machinery. 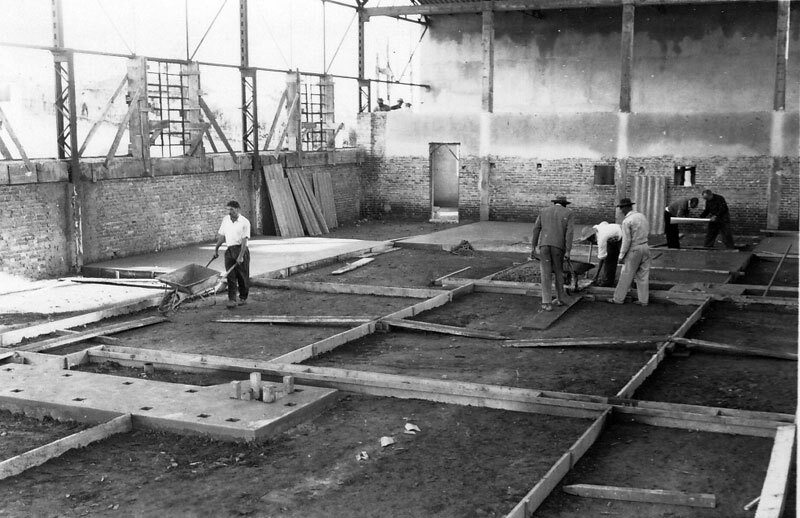 See also History of Baker Perkins in Latin America.